Wittians marked the day of Love and Friendship. 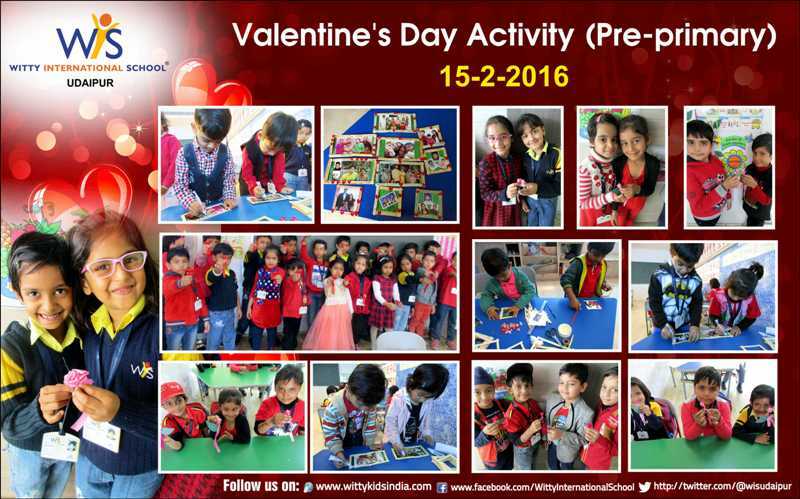 The Pre- Primary Wittians of WIS, Udaipur celebrated the Valentine’s Day in the school premises. They came dressed up in red colored clothes and had brought red colored snacks and fruits in their tiffin boxes.They also tried their hands on the different artistry. 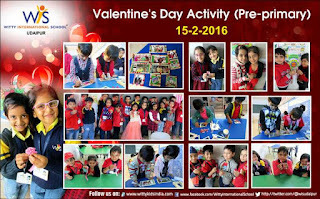 PG students enjoyed coloring the heart worksheet, Nursery children expressed their feeling s through card. Jr. KG made a photo frame and Sr. KG crafted beautiful red and pink satin flowers. The teacher also told them that we should love and respect the people around us.